Because we are still interested in moving the city forward! It took awhile but I finally upgraded to the new version of this web design program. I intend to write a little more often now this is accomplished. 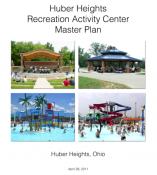 Also, if you would like to collaborate on keeping the residents of Huber Heights updated on what is happening in the city, let me know and we can discuss how to make that happen. On the Facebook page HuberResidents.org I mirror a lot of the content here. More importantly, you can find quick thoughts and shares of public events. 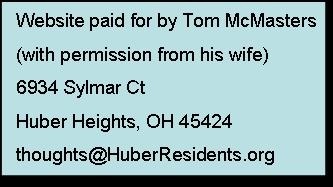 Follow or like HuberResidents.org on Facebook. In regards to your first objective… I think it is reasonable that you ask those types of questions. But I also think you should ask yourself this… why should the city get to sit back and provide nothing, but reap all the benefits? TIF is a pretty common thing used all across the country and in the rest of the world. The whole purpose of it is to encourage develepment. As for your suggestion to slow down development…. this has already been going on for how many years now and still has many more to go. How long exactly do you want this to last? Have you considered what happens if the city stops contributing and the developer pulls out? The developer is currently paying millions in debt on behalf of the city are they not? If DEC pulled out…. the city would have to start paying that debt again? Or find a third developer at that point to take all the risk because the city doesn't want to help. Your second objective is basically just to prove a point that you have power or to get some revenge on what some council members told the news in the past? Tell me I didn't just read that. You should be less concerned about what some PAC is doing and more concerned about the city. That is just politics. That PAC failed to even get enough signatures to support their movement 2 years ago. Why did you send the email to the news? 1. The 3 ways that an item on an agenda (. You claim those to be true, but what backs that up? The rules of council referenced by Starline seem to back up his claim that the mayor has no such authority. Section N of the document below. I have to agree with Starline's conclusion unless you can back up your claims. All that document says is the Clerk of Council is responsible (consulting with city manager and presiding officer) or an item can be compelled by 3 council members. If the council itself doesn't want this "requirement", which doesn't seem to be anything official, why make such a big deal about it? If you think the lack of a read aheads waste the council's time… then that is their choice. It is their own time they are wasting. The few public people who attend the meetings don't seem to care. They probably get more information out of it the way it is, because they have to hear all the clarifications. I've found that when people talk to our current city council they listen. I also believe council both needs that scrutiny and they don't like it. In fact, they proclaim they want public input but then their actions discourage it. I’ve been trying for a year and a half to get more people to learn about what council is doing because I know with our feedback the city will end up with better government. This website is new online and I have a great vision on where it can go! Right now you can review the beginning of the Aquatic Center or “The Heights” or you can create a profile and start adding content to this site. 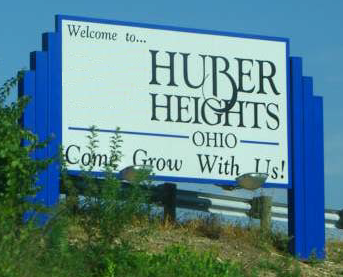 This is a great project and I look forward to working with you to ensure we get good government here in Huber Heights. If you've come to this website because of a flier you probably want to see the City Lawyer's opinion paper first. At the very bottom of that page you can find a link to the flier for you to download it and pass it out yourself. This website theme has great potential especially since it is open source and free but I can see I'll need help to make it work. If you believe in the vision and you can write code for a website as sophisticated as this contact me. As useful as this site seems it loads pretty slow so if you know of another open source theme that does the same things contact me. Also, I think if there are 8 of us willing to rotate through the committee meetings and then write about the key events we can improve this city. Contact me if you are interested. There probably are a couple more years on the City's trash contract with Republic but I do not think it is too early to compliment the job Republic is doing. 17th January 2018, 8:36 PM A full service hospital here in Huber Heights? 7th November 2017, 12:49 AM What is TIF?